Paris Baguette is in Singapore! If you are thinking this is some French brand, nope. This chain is actually the top Korean bakery, receiving “constant love” for its freshly baked bread, cakes, sandwiches, desserts and brunch items. To update: Paris Baguette has closed its Orchard branch, and can now be found at JEM #02-20, Tampines Mall #01-32, Bugis Junction B1-24/25, One Raffles Place basement, Changi Airport T2 Level 1 Public Area. Paris Baguette has attracted throngs of office crowd and the Korean expat community to land their support. Good chance to people-watch and spot a (almost) Girl Generation type customer. Its self-service ordering system, service crunch, and lack of seats due to its popularity may throw you back a little. Customers were looking high and low for the menu sheet, only to find them lying around somewhere. Somewhere. 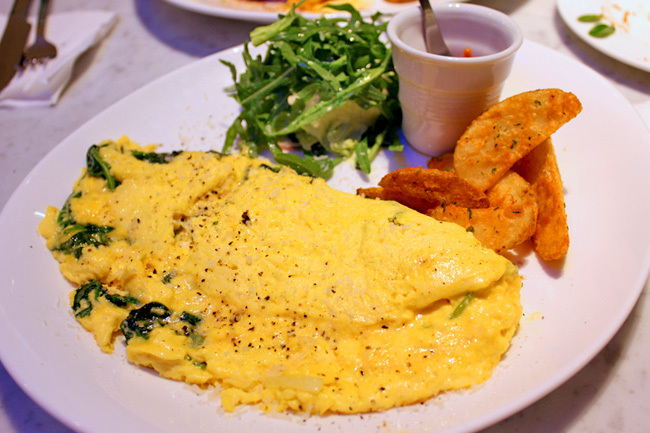 Indulge in a lazy afternoon with its brunch items, the best seller being the Cheese Omelette With A Difference ($18.00, and what a name). The omelette with spinach, gruyere and feta cheese is quite cheesy and yummy, plain in its own way, and heartily satisfying. 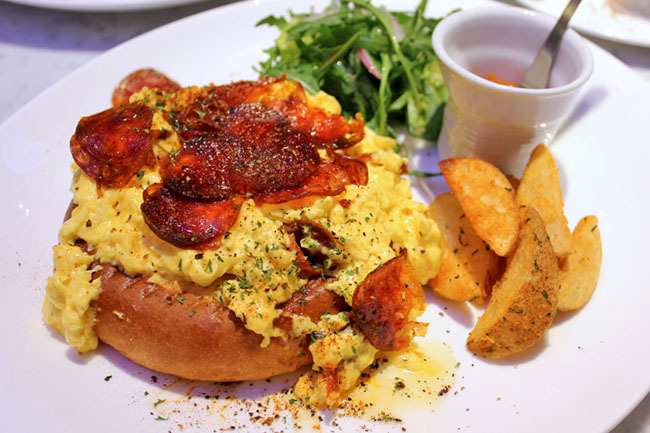 The Scrambled Egg Brioche Brunch ($18.00) is a photogenic dish with chorizo on toasted brioche, and the eggs evenly prepared and cooked. If we were to judge by the eggs alone, yes it is fresh delicious, but somehow lacks a punch. Should throw in a juicy sausage and some sautéed mushrooms. 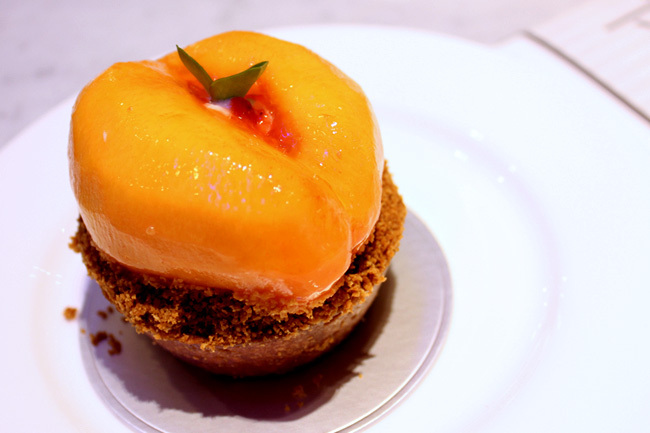 The cakes on my table – a strawberry cream Mille-Feuille, impossibly cute Wahaha Chocolate Cake, and Peach Tart (between $6.50 and $8.50), are extremely pretty to look at, but not so pretty to eat. Some dry, some lacking that delicate touch. 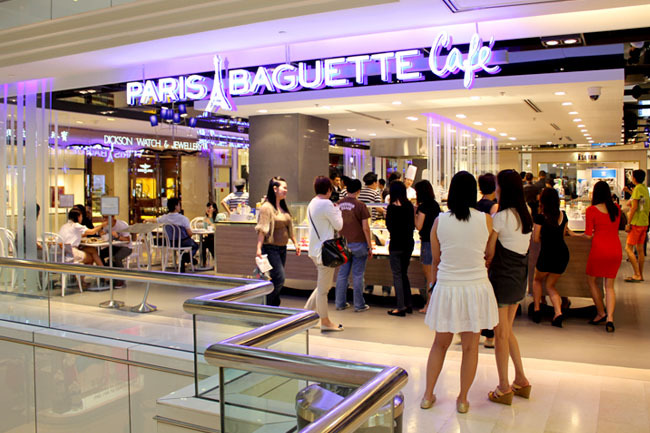 Question: Why is Paris Baguette in Singapore seoul expensive? $17.00 for club sandwich, $18.00 for eggs, and $11.00 for iced orange tea! Makes me think twice downing that $11.00 Chamomile tea to calm myself. JEM #02-20, Tampines Mall #01-32, Bugis Junction B1-24/25, One Raffles Place basement, Changi Airport T2 Level 1 Public Area. Perhaps you should just stick to your hawker fare, and stop trying to always stir controversy. PS. Food is usually this expensive in town. Hi Daniel! I just tried Paris Baguette a few days back. I actually found their baked items fairly reasonably priced, and extremely delicious. In fact, I think their baked goods are more value for money than the menu items. You should definitely try “Sonoma” (crunchy peanut topping on bread) and “Giant UFO” (Custard filled bread shaped like a UFO) which were both delicious. Thanks for sharing. Actually been there twice. Looks like a third visit is a must. Even the orange juice or iced tea at Paul in Paris didn’t cost me SGD11. This is simply overpriced and waiting to close down. Actually from what it seems, their takeaways are doing well, and looks like they are here to stay. I think the hot food items & drinks are expensive because they factor in the partial tableside service when you don’t actually pay service charge & gst. But $11 for ice tea is just way too exorbitant. I really think it’s the rental that is killing them. Even DTF (with so good business) has to move up. It’s a hot spot! Oh yes it is really popular in Seoul! I think the pricing is almost similar to the ones in Seoul! Oh I’m gonna have to argue with this one. Paris Baguette in Seoul is half the price compared to Singapore! They are not premium AT ALL. Reasonable quality, reasonable price. Tea and coffee, for example, would be around 4~5 SGD. I think its def the rent and overall cost in Singapore. The cost of doing business in town is not cheap, and businesses at the end of the day need to make enough to pay rental, salaries and enough profit to keep everything going. If you think that something is good and worth the price, please support them so that they can continue to provide whatever it is they are providing. If you think otherwise, as a consumer, you can exercise your choice not to patronise them and spend your money elsewhere. hi there, im actually in seoul now and i must honestly say that the sg’s one is way too overpriced. What are the prices like in Seoul? Can share? They have increased the prices since your review! Huh? Again? What’s the price like? Actually Paris Baguette’s prices are not the most expensive already. 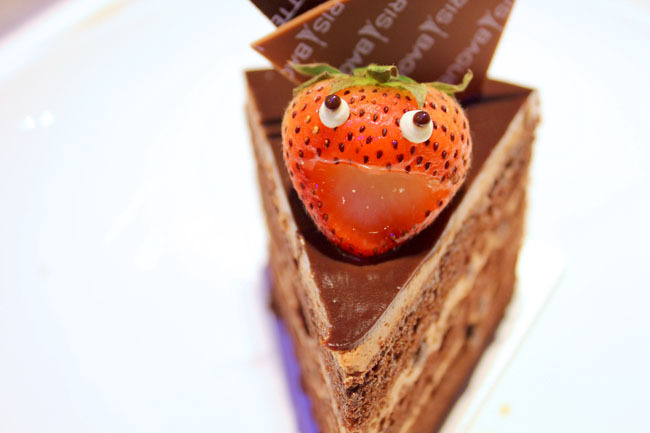 The cakes at the new Podi The Food Orchard at Paragon by Cedele are priced at $12 each, desserts $15, almost 2x mark-up of Cedele’s. It’s way too ridiculous. 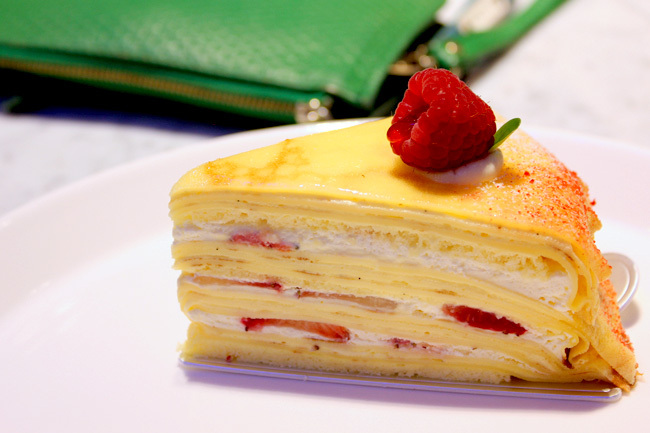 Would you pay $12 for just a slice of cake? And they’re not even a fine dining restaurant, it’s just a cafe with fine dining prices. I was amazed by the pastries, very nice indeed. As for the price, still reasonable as cafes are not cheap anyway. Compared to Paul at Taka, I think they outshine them for the coffee taste and varieties. I just dont like the free seating concept, quite a hassle to get table and people are waiting for you to leave when you are about to finish your bite. Even in New York City, this bakery is on the pricey side but sometimes it's worth is for the quality of the cakes they have there and just the artistry that goes into creating the cakes. I bought a fruit tart home for a birthday and not a crumb was left. I definitely recommend their cakes, but other places like Tous Les Jours have similar and a bit less expensive cakes or some Chinese bakeries have even less expensive cakes with similar quality and taste to their Korean counterparts. when Paris Baguette just open I brought some friends there for breakfast, the bread pastry was good a class of is own. 4 person we spent over S$50 plus. the place is class good to bring friends have a cup of coffee and bread etc. however what we are not happy is they use to have it at 11 am the garlic bread but now no one in the counter know what time and when they will bake the garlic bread my friend was there waited and no one seem to know when will the bread be bake after an hour of waiting they said maybe another 11/2 more hour my friend was very mad. and neglect the garlic bread what a disappointment. Their Korean staff (I assumed she's Korean because of the name I saw on her nameplate) at their newly opened Tampines Mall branch is VERY RUDE! She keeps on asking people who's going to order from the brunch menu to queue together (in a very RUDE manner) with the people ordering bread when the staffs assigned at the bread area told us we can just order straight to the counter instead. Sorry but she's not only rude but stupid also for not using her simple common sense. I guess unsatisfactory service is really a problem for most Singapore F&Bs. Have visited the place last week when the crowd is smaller. I love the food and drinks there. But the service is really unacceptable (luckily there was no service charge). I visited Paris Baguette twice in a week to meet up with friends. having coffee/cakes at 5 star hotel, Jasmine green tea $11 (Crazy) only 1 tea bag add on hot water nothing taste special. Service is poor, no courtesy, not friendly, When I asked for additional hot water, the staff rudely told me to Queue my self!! will not go there again, I rather seat & relaxed at Goodwood Hotel Cafe, great stuff & great service. They did not wash the fruits dat were placed on the cakes n tarts! I saw them preparing n was stunned…. I think the service at Paris Baguette Wisma is improving now with the newer batch of service crews. For those who feel that the service was bad in the past, you might want to try visiting it now again. just went to the outlet at wisma. they revamped the place with a new layout and some new stuffs on the menu! hey guy, let me just tell you something.. paris baguette item e.g like flour or egg is just like any other normal in the market and yet they sell so expensive and claim that the ingredients is high quality. by using cheap ingredient to sell an expensive product.